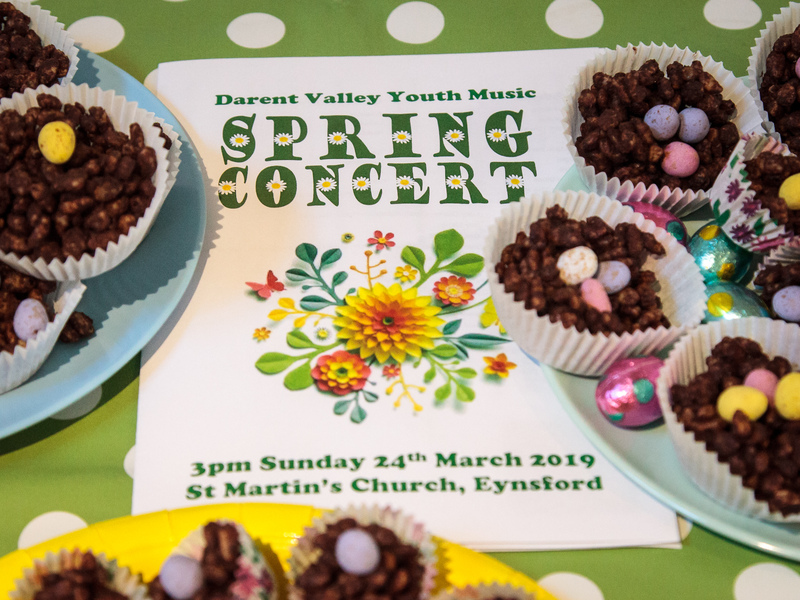 On 25th March, Phoenix Jazz Band and Darent Valley Concert Band came together for their Easter Concert at St Martin’s Church. The church was packed to capacity. Under Jezz Laing’s leadership, Phoenix Big Band began their lively programme with Born To Be Wild (Bonfire arr. Sweeney) followed by spirited performances of Summertime (Gershwin arr. Sweeney); Birdland (Zawinul arr. Laing); In the Mood (Glen Miller) and The Chicken (Jaco Pastorius). Congratulations to Adam, Callum and Matt who -at the eleventh hour and fifty-ninth minute- used all their musical talents to improvise throughout Birdland after their scores were accidentally mislaid. Following a short break, Duncan Dwinell conducted Darent Valley Concert Band through probably their most ambitious programme to date including: Andalusia (Hugh M Stuart) featuring the talents of George on solo flugel horn; March -Folk Songs from Somerset (Ralph Vaughan Williams); Mars from the Planets Suite (Gustav Holst); Nimrod from Enigma Variations (Edward Elgar) starring our resident percussionist Peter on solo cello; and Danny Boy (traditional arr. Warren Barker). The whole concert was concluded with a rousing rendition of the magnificent Finale from Saint-Saens Symphony #3 (Camille Saint-Saens arr. Curnow) when we were privileged to be accompanied by Mr Alan Saunders on organ. Saint-Saëns said of his composition: “I gave everything to it I was able to give. What I have here accomplished, I will never achieve again”. The Concert Band will doubtless echo his sentiments. What a majestic and theatrical finale! What a fabulous afternoon of music! Such a varied programme, with young musicians who were giving their all and clearly enjoying the performance as much as the audience! The highlight for me was definitely “Mars” – it was electrifying!